A One Page Alternative to "Obamacare"
Jeffrey H. Anderson, the director of the Benjamin Rush Society, was the senior speechwriter for Department of Health and Human Services secretary Mike Leavitt. In the week between Scott Brown's seismic win and the State of the Union address, the Obama administration tried mightily to explain away the verdict of the Bay State voters. Despite the fact that Brown had plainly made the election a referendum on Obamacare, the voters, according to the administration's narrative, had not rejected it. In the State of the Union, Obama offered another response. The Massachusetts voters had rejected Obama-care, but that didn't mean that he had to abide by their wishes. "I never suggested that change would be easy." "Democracy," he said, "can be noisy and messy." "We can do what's necessary to keep our poll numbers high and get through the next election." Or we can do "what's best for the next generation." House Democrats seemed a bit stunned by this language, responding with silence rather than applause. They will face the voters in just nine months, and many of them represent Republican-leaning districts. Now, in the wake of Scott Brown's triumph, President Obama wants them to "take another look" at his proposals. The American people have already taken a long look at Obamacare, and they don't want it. They don't want a government takeover that limits choice and competition, funnels $1 trillion from American taxpayers to insurance companies in its first dozen years (2014 to 2025), cuts Medicare Advantage benefits by an average of $21,000 per enrollee (except in South Florida) in its real first decade, and contains enough shady backroom deals to make Jimmy Hoffa blush. Most of all, the American people don't want a $2.5 trillion bill that does all of that and still fails to do the one essential thing: lower health care costs. 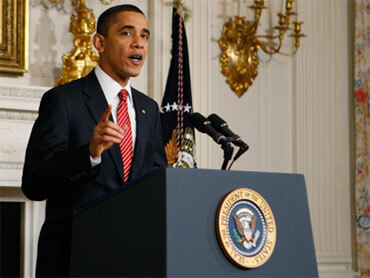 During his State of the Union address, Obama also said that "if anyone from either party has a better approach . . . let me know." Well, without seeming too presumptuous, Mr. President, here you go! The small bill offers seven real reforms (the last a combination of smaller reforms) that together would lower costs, significantly increase the number of insured, and be deficit-neutral. Its proposals are not revolutionary or even particularly novel. They reflect ideas that are widely shared by Republicans in the House and Senate, as well as by many of their Democratic colleagues. The bill incorporates proposals that Tevi Troy and I have previously advanced. And it reflects scoring by the Congressional Budget Office (CBO) of the House Republican bill-the one bill proposed so far that the CBO has said would actually lower health costs. But the small bill would meet the American people's goals for health care reform-while Obamacare wouldn't-and it would do so at only a fraction of the price. The small bill would cut health costs by roughly as much as the House Republican health bill, which contains very similar cost-cutting provisions. The CBO estimates that by 2016, the House GOP bill would cut insurance premiums by 7 to 10 percent in the small-group market, 5 to 8 percent in the individual market, and up to 3 percent in the large-group market, in relation to current law. Under Obama-care, the CBO says that the average family's premiums in the individual market would rise by $2,100 a year in relation to current law. The small bill would achieve these favorable results despite costing only about $180 billion in its real first decade-just 7 percent as much as Obamacare. And, unlike Obamacare, which would not go into effect in any meaningful way until 2014, the small bill would start next year. Under the small bill, approximately 10 million additional people would acquire insurance, at a cost of about $18,000 per newly insured person versus about $76,000 under Obamacare. In other words, for every $20 billion spent, Obamacare would result in approximately 260,000 additional people becoming insured, compared with 1.1 million people under the small bill. When the federal government isn't limiting their ability to do so, Americans know how to shop for value, and they will have no problem identifying the small bill as a far better value than Obamacare. In truth, even the status quo is clearly a better value than Obamacare. But the choice needn't be between those two unpleasant alternatives. Real reform is within our reach. A recent McLaughlin and Associates poll asked Americans whether they would prefer Obamacare or a bill that took "more modest steps like allowing the purchase of insurance across state lines to improve competition, creating a risk pool to help people with preexisting conditions afford coverage, and curbing lawsuits against doctors." By almost three to one-61 percent to 21 percent-respondents favored the more modest alternative to Obamacare. Among those who felt "strongly," the tally was 31 percent to 9 percent. Let's start over and give the American people what they want.